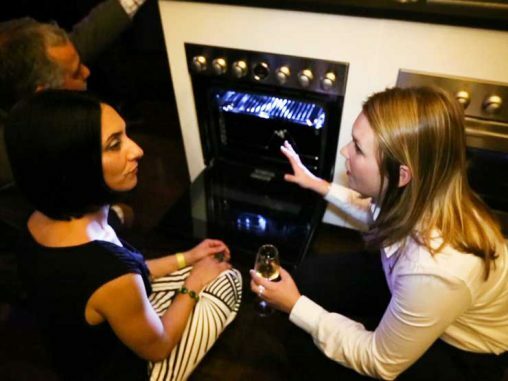 Suppliers in the freestanding cooking appliance category agree that a lack of overall growth has meant market share must be won with a convincing overall proposition. One of the self-described winners in this category over the past year has been Smeg Australia, according to national marketing manager Jim Kalotheos, who attributed the brand’s success to innovative design, sophisticated technology and excellent ranging. “The past year has cemented Smeg’s position as a key player and innovator in the freestanding cooker segment,” Kalotheos said. “It has been a huge year for Smeg in freestanding cookers — while the segment as a whole has remained fairly static, Smeg’s market share has grown significantly. Smeg has freestanding cookers in six widths (60, 70, 90, 110, 120 and 150 centimetres), four finishes (stainless steel, black, white and panna) and three cooktops (gas, induction and ceramic). A large part of Smeg’s success in Australia has been its affiliations with leading designers to create instantly recognisable design cues, such as Guido Canali’s Classic range and the eponymous and colourful Marc Newson cookers. This philosophy for distinctive appliances is being continued with the Victoria, a 110-centimetre upright cooker that captures the much-cherished appearance and functionality of the classic range cookers of pre-War Britain. The Victoria (RRP $7,990) has two ovens, a separate electric grill, a 7-burner gas hob with a teppanyaki plate and a storage drawer. “So positive has been the response,” Kalotheos said, that “Smeg is introducing a 90-centimetre version, plus matching rangehoods in two aesthetics, later in the year”. • Induction cooktops are gaining in popularity, increasing demand for freestanding cooking appliances to have an induction component. • Consumers are looking for cooktops and ovens that are easy to clean while still maintaining a high design standard. 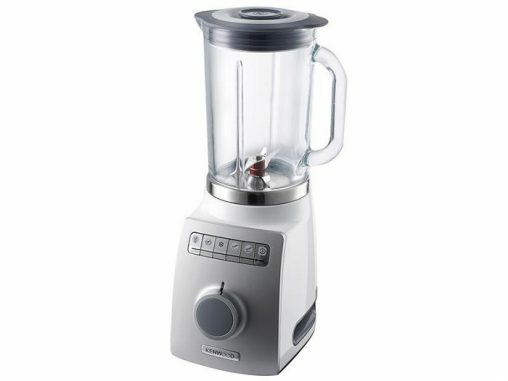 • Time-poor consumers are demanding products with multiple uses, making freestanding cooking appliances a popular choice. • Different sized appliances need to be available to suit kitchens of all sizes. De’Longhi has differentiated itself from other ‘freestanders’ by eschewing stainless steel or silver facades in favour of black glass, as category manager Helen Finlayson explained. Having introduced induction to its freestanding range, De’Longhi is preparing for “some great sales results” for this RRP $4,599 cooker (DEFIND909). “This demonstrates that consumers are willing to accept technology on what has been traditionally a very conservative market and future product development will capitalise on this,” speculated Finlayson. De’Longhi’s promotional program for its freestanding cooking range includes a new-look catalogue including recipes designed for and tested on the products, as well as a partnership with celebrity chef Adriano Zumbo. Finlayson also flagged a consumer promotion towards the end of the year and a revamping of the company’s training program. While Fisher & Paykel has designed its freestanding cookers to be “distinctly recognisable”, it is not specifically targeting the design-minded. Rather, general manager, marketing, Peter Russell said functionality requirements were driving innovation and sales. “Freestanding cookers are the domestic version of the professional chef’s cooker, so they particularly appeal to serious home cooks with a taste for pushing culinary boundaries,” Russell said. Russell said Fisher & Paykel’s broad global intention is to be the “most human-centred appliance brand in the world”. He envisages social cookers standing around an F&P freestander showing off their skills while preparing amazing food with their loved ones. 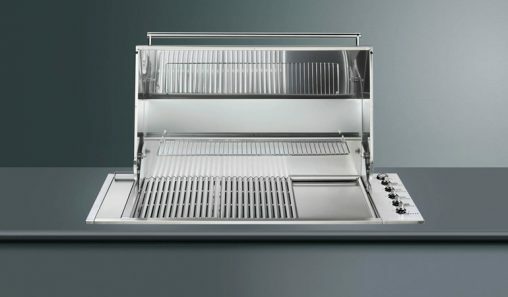 Its range includes 90-centimetre cookers with gas or induction hobs, and a 60-centimetre dual fuel freestander. “The 90-centimetre Induction Freestanding Cooker was a completely new addition to Fisher & Paykel’s cooking offering late last year,” explained Russell. “With a 4-zone, easy-to-clean induction cooktop and large oven, consumers are able to enjoy the best of both worlds. Russell encourages Fisher & Paykel channel partners to maintain a close relationship with their account manager so they remain abreast of unique sales propositions to better serve customers. ILVE, distributed by Eurolinx, has one of the broadest ranges of freestanding cookers in the market, a point happily conceded by the product-code-weary marketing manager Daniel Bertuccio. In a steady market, Bertuccio said it was important for freestanding suppliers to offer such a diverse range of options, so that customers can receive the configuration, technology and fuel that best suits their needs. Eurolinx hosted a very Italian launch for its 2013 ILVE range at the Maserati Showroom in Sydney earlier this year. That was the start of a robust if frustratingly secret marketing program. “We have gone to market with some great added value promotions over the past two months that have been working fantastically for us,” Bertuccio said. “When brainstorming these promotions, it was important for me to ensure that a point of difference for ILVE was maintained and credible products and brands were associated with ILVE. Customers now want to have it all, he said, demanding “lower running costs, higher performance cooking, beautiful styling that coordinates with modern kitchen design and easy cleaning”. Gilmore sang the praises of Glem’s Italian made cookers, including the Monolith Series 3 range, which is hand built. He said retail staff should not undersell these well-regarding manufacturing advantages when dealing with consumers. “Well-trained floor staff makes a huge difference to the type of products a store can sell and the value of those sales,” he said. “The fall in average selling prices should be a concern for everyone — it has been such a good category for so long. Retailers wanting to focus on Italian cookers will be impressed with Glem’s dual fuel range, which is marked under the Bi Energy sub-brand. The Glem 90-centimentre Bi Energy Cooker is RRP $3,999 (ML96GGESI3). Darren Sharvell, Omega product development manager, said the Shriro-owned brand will be focusing on the 60- and 90-centimentre stainless steel categories, “where the market is currently down slightly, however, the ASP is up marginally”. Omega’s range includes three 60-centimetre and four 90-centimetre cookers and dual fuel technology. Sharvell describes this as a ‘no nonsense’ range. “We understand that cooking, cleaning and washing aren’t consumers’ favourite things in the world,” he said. “That’s why we created a range of no-nonsense, reliable products that always get the job done. “Our tip to retailers is to encourage consumers to participate in pre- and post-sale demonstrations at our showrooms, which will, therefore, help them to close the sale,” he said. Just as retro designs have taken off in small appliances, Baumatic sales and marketing director Matthew Evans believes classic designs that evoke the trusted appliances of yesteryear, but with all the modern technology, will soon become trendy in major appliances. Baumatic’s 90-centimetre Dual Fuel Upright Cooker (BRF900EG, RRP $2,199) has an analogue, retro-style thermostat and a sleek chrome handle to replicate the cooker style of the 1950s. This release is all part of Baumatic’s ‘back to its roots’ trajectory, as the company looks to broaden its distribution — for a long time it has been closely associated with The Good Guys. “We have new showrooms in both Melbourne and Brisbane providing our customers the perfect destination to look, touch and feel the new collections; a brand new website in the works with a link to our global site; and our brand mascot, Peri the Piranha, will be making a splash on social media later this year,” Evans said. “In the past, Falcon has been associated with a particular style of traditional kitchen — this is no longer the case,” she said. “Our style and range has expanded, so much so, that half of all Falcon sales are from our contemporary style of freestanding cookers. The Falcon range of cookers includes the Elan, Classic, Professional and Kitchener series, with the option of dual fuel, gas or induction (depending on the model) in a variety of colours. Edwards would look to see greater brand recognition of Falcon, which is much-loved by long-time users and has traditionally created awareness through word-of-mouth. “A unique feature that Bertazzoni freestanding cookers have is the wide variety of colours available for selected models. These colours include black, pure white, red, yellow, cream, burgundy, blue, and green. Bertazzoni freestanding cookers are also available in a variety of models including gas and electric ovens, single and double doors, and a hybrid version. Bosch product manager — cooking, Monica McCormack said freestanding customers were beginning to demand the newest technology. Bosch has such an oven: a 60-centimentre model with pyrolytic cleaning and 40 automatic programs, for RRP $3,699. Woodhouse went on to mention that “this new range of products which has previously been the market leader in Australia under a different brand”. He didn’t mention which one though – you could say he left that space blank.